A trilingual writer who described herself as “a poet of exploration,” Amelia Rosselli has only recently been recognized as one of the major European poets of the twentieth century. Born in Paris in 1930, she was the daughter of the martyred antifascist philosopher Carlo Rosselli and the British political activist Marion Cave. Raised in exile, in France, Switzerland, England, and the United States — in interviews, Rosselli remembers her years in the US with great fondness. She finally settled in Italy after the war, first in Florence and then in Rome. Except for a year she spent in London in the mid-seventies, Rosselli never left Rome, where she took her own life in 1996. The tragedy of her father’s death and the loss of her mother when she was only nineteen were central to Rosselli, defining her in many different ways: from her “trilingual language” and cosmopolitan upbringing — though she thought of herself more as a refugee — to her political engagement and deep social consciousness. Rosselli was the author of seven collections of poetry (one, Sleep, in English), a translator of Emily Dickinson and Sylvia Plath, among others, and an accomplished musicologist and musician who played the violin, the piano, and the organ. 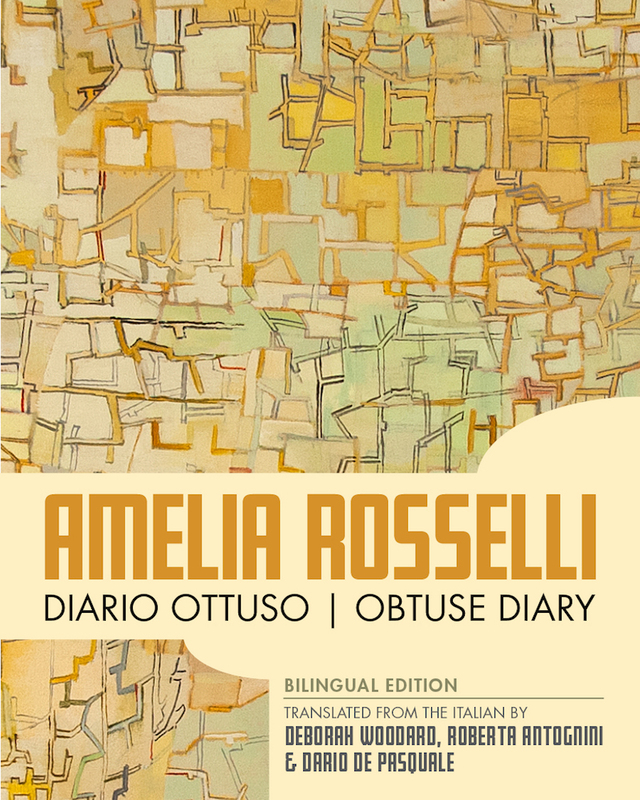 Obtuse Diary, Rosselli’s only work in prose, was first published in its present format in 1990. Translated by Deborah Woodard, Roberta Antognini and Dario De Pasquale. It is our honor to share with English readers this unique and troubled voice. We hope that this book adds to the evidence of the horrors and ruptures to self and language that fascism and authoritarianism cause.